Sarah L. Francis is an associate professor and state nutrition and wellness Extension specialist at Iowa State University. She is a registered dietitian with nearly 20 years experience, who has worked in a variety of dietetic settings, both local and international in the areas of nutrition and health education program and material development. She has worked the last 12 years in Extension. 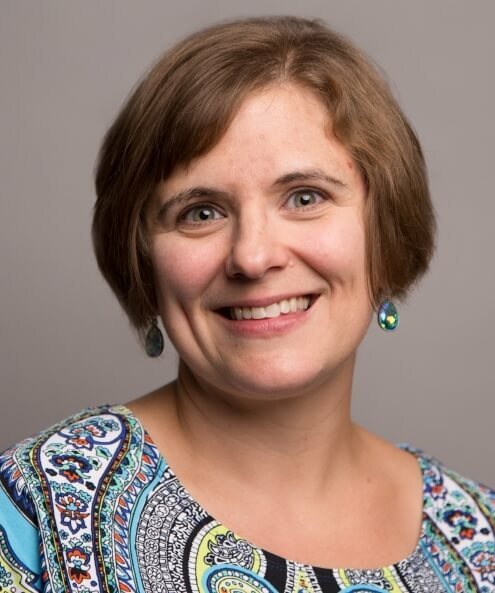 Her research and Extension work focuses on determining to what extent theory-based, unique and innovative nutrition and health intervention strategies can increase awareness, knowledge and adoption of health-promoting behaviors in older adults and under-served audiences. It also focuses on evaluating those interventions through long-term, community-based studies using a balance of qualitative and quantitative methods. The overall goal of her research is to develop community-based nutrition programs and materials that produce measurable behavioral change. As principal investigator or co-investigator on numerous U.S. Department of Agriculture and state-funded projects, totaling $1.3 million, Francis has an established reputation for creating culturally appropriate and relevant programs that achieve their desired outcomes. She has 24 peer-reviewed research articles. She has developed six Extension and outreach nutrition and wellness programs with corresponding materials for statewide use. Francis is currently completing a three-year term as chair of the U.S. Department of Agriculture multistate research group NE1439 Changing the Health Trajectory for Older Adults through Effective Diet and Activity Modifications. She is an active member of the American Society for Nutrition, Gerontological Society of America. As a member of the Society for Nutrition Education and Behavior, she served as the chair of the healthy aging division 2014-2015.